San Diego, CA. Media Arts Center San Diego is proud to announce the date and location of the 16th Annual iVIE Student Film Festival & Awards, presented by San Diego County Credit Union. This year’s full-day event will take place, Saturday, June 3rd, 11:30am-8pm at Coronado Performing Arts Center at Coronado High School (650 D Ave, Coronado, CA 92118). This year’s event will include new and exciting activities in conjunction with the amazing films produced by local students across San Diego County. In the morning, there will be three unique film screenings, spotlighting the elementary, middle, and high school nominees. A Creative Careers Expo will be happening throughout the day spotlighting the many career opportunities for youth interested in film, video, design, music, theater, video gaming and other creative industries. Then, in the early evening, the official awards show and presentation will take place. The event is expected to draw over 1,000 attendees amongst students, parents and professors. Festival nominees will be announced by Friday, May 5th. Winners will be selected by a jury media industry professionals, community partners, and media instructors, and will be awarded prizes from Sony and other film related companies, including scholarships to Media Arts Center’s Youth Media & Tech Camps and the award-winning Teen Producers Project. Ticket prices to attend the film festival screenings are as follows. Film Screenings: $3 Students and $5 General Admission. Awards Ceremony tickets cost $5 Students and $8 General Admission. The Creative Careers Expo is FREE. All proceeds benefit the annual iVIE Awards & Student Film Festival and iVIE Scholarship Fund. For tickets, complete schedule, and/or more info, please visit: www.ivieawards.org or call 619-230-1938. 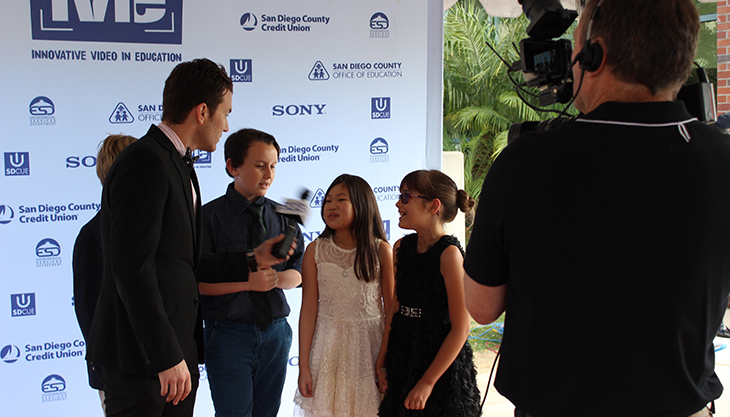 In addition to San Diego County Credit Union being the presenting sponsor of this year’s iVIE Awards & Student Film Festival, the 2017 iVIEs are sponsored by Sony and the City of San Diego Environmental Services. Media Arts Center San Diego, a 501 c(3) non-profit organization, has been promoting independent cinema and teaching the art of filmmaker for over 24 years in the San Diego – Baja California Region. Its programs and services include the 24th Annual San Diego Latino Film Festival, Digital Gym CINEMA North Park, Youth Media & Tech Camps, Teen Producers Project, and Community Video Production Services.